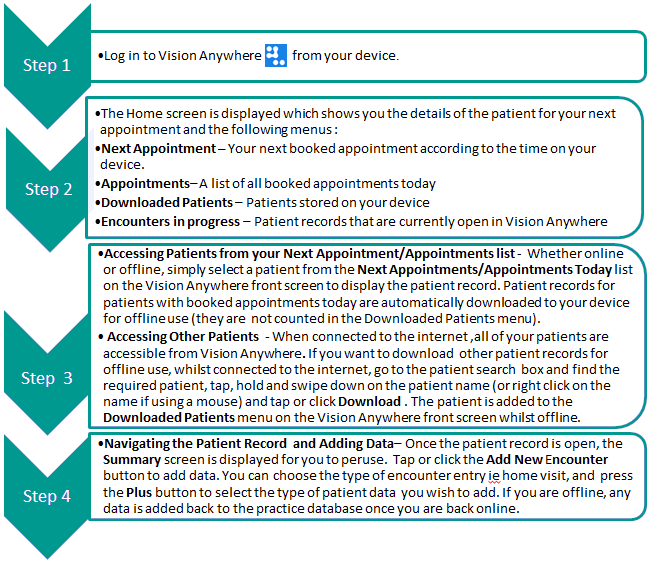 The Vision Anywhere (iOS) app gives GPs and other healthcare workers secure access to Vision patient records and appointment information during home visits. It provides both online and offline access, allowing users to view and update patient records and view appointments away from the practice, with or without an internet connection. Vision Anywhere for iOS is currently available via the Apple Store . See - Prerequisites.